It was announced on 3 November 2017 at Blizzcon that StarCraft II would be free to play as of 14 November 2017. Previously, players had to purchase StarCraft II: Legacy of the Void to have access to all game modes. All you have to do is download StarCraft II. You will immediately have accessed to all game modes except Ranked Multiplayer Ladder, which can be unlocked after you have earned 10 First Wins of the Day in Unranked or Versus A.I. play. The optional in-game purchases do not affect the competitiveness of the multiplayer game mode, as they are mainly aesthetics and one player game mode content. StarCraft II has three main campaigns that complete the StarCraft II trilogy story mode. Wings of Liberty can be played for free. Heart of the Swarm and Legacy of the Void can be purchased separately. Apart from the three campaigns from the trilogy, independent campaigns like Nova Covert Ops can also be purchased separately. Co-op mission is a game mode that requires two players to assume the role of specialized and iconic ‘Commanders’ from the StarCraft universe to complete a number of challenging missions. Every commander is free to play up to level five. 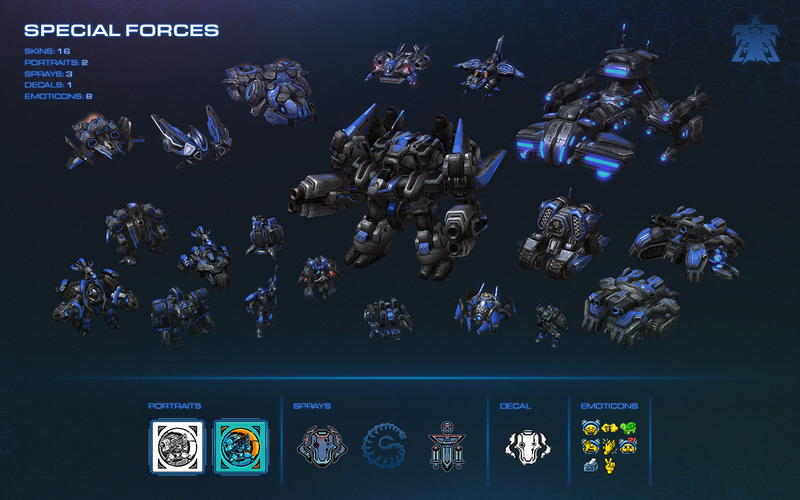 Raynor, Kerrigan, and Artanis are the commanders that are completely free. You need to purchase other commanders if you want to go beyond level five. Additional customisation can be purchased to enhance player experience, but they do not provide any in-game advantage. Q: When I download StarCraft II, is it Wings of Liberty, Heart of the Swarm, Legacy of the Void, or all three? A: The free to play change essentially combines all three expansions together, so the three expansions are no longer independent. However, only the Wings of Liberty campaign is available for free, so you need to purchase the campaign for Heart of the Swarm and Legacy of the Void separately in order to complete the campaign trilogy. Q: Do I have access to all three races (i.e., Terran, Zerg and Protoss) with the free to play download? Q: Is the game region locked? A: No. You can access to any of the regions from anywhere in the world. However, you should pick the region that has the lowest ping for the best experience. If you are in Australia or New Zealand, you should play on the U.S. server and the game will automatically move you to the internal AU server. Read more here. Q: Is it too late to start now? A: No. Unlike other eSports titles, StarCraft II does not require levelling or unlocking to be fully competitive, so those who start on day one have the same resource as those who start today. Q: Is it worthwhile even if I only play single player modes? A: In my opinion, yes. The campaign itself is a good justification for the purchase. Co-op missions and arcade modes have great re-play value. Q: Does the game has high system requirements? A: No. It can virtually be played on any non-gaming laptop available in the market now. Read the full requirement here, and learn about the optimised settings here.